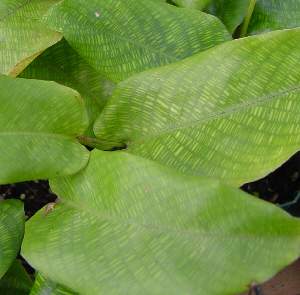 A very rare species of Calathea with strikingly patterned foliage. Best used in 20 Gallon sized tanks and up. VERY LIMITED!